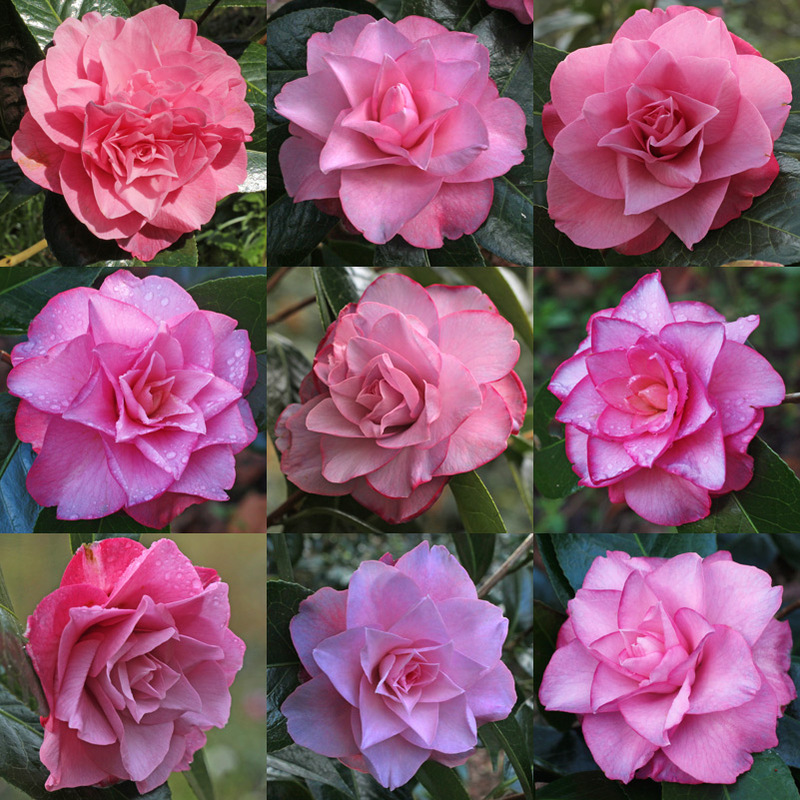 Camellia japonica ‘Joe Nuccio’. The most usual colour seems to be a slightly purplish pink, but the variants shown are not uncommon. I suspect light frost damage accounts for most of it.